Do you hate Internet Explorer and want your friends and family to switch to the universally loved and more secure browser Firefox? How about a simple trick that will crash Internet Explorer, even if it is Internet Explorer 7 (IE7). with spaces in <script> tags removed. If you want to check out this Internet Explorer Crash, click on this link here. But be warned, if you are running Internet Explorer, it will crash and most likely render your Windoze Operating System unstable. So save your work or paper before clicking on this direct link for Internet Explorer Crash. 3. Am I doomed? Are there alternatives to Internet Explorer? The world is in love with Firefox including me. I love the security and the stability Firefox provides besides giving me the option to recover in case of a browser crash or an unexpected system shutdown. However, besides Firefox, Opera and now Apple’s Safari 3 which you can run on Windows. 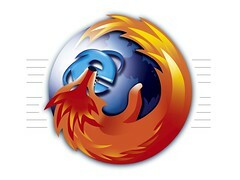 Posted in Hacking and tagged browsers, firefox, Hacking, internet explorer, Microsoft. Bookmark the permalink.